Subscribe to Receive FREE Training Guide! Are you tired of social media posts that don't convert into paying clients? Are you confused as to which avenues to use for marketing? Are you closing at least two thirds of your potential clients? Are you tired of playing phone tag with prospective clients that never answer the phone? Do you have a website that does the tough work for you? Are you still getting people who just want to "think about it?" ​Are you struggling to get qualified leads? Considering using Live Video Marketing but not sure where to begin? With 20+ years in the dating and coaching industry I am so excited to be able to share with you ALL of the information, grand mistakes and knowledge I have gathered from running my businesses! What I have learned, sometimes the hard way, is that somethings work and some things don't! This is why I want to share it all with YOU! I have owned and operated several businesses in the dating and coaching industry throughout the Southeast training and managing up to 30+ employees, been responsible for hundreds of thousands of dollars in advertising budgets, managed PPC and facebook ads, designed clickfunnels, web pages, email automation, video marketing and much more! Ohhhh, did I mention I am a professional matchmaker and certified life coach ? I have matched and coached thousands of clients, dried their tears, attended their weddings, set their goals, addressed their concerns and issues, recruited thousands of singles and made a pretty good living at it along the way. And now, I'm tired...it's time to pass the torch! I just want to share my brain with you so I can retire soon on a beautiful island in the Western Caribbean and travel the world. The way I plan on doing this is by helping YOU! So, let me ask you: "why would you hire a business coach or consulting firm that knows nothing about our very specific industry of matchmaking and/or coaching?" I want to see YOU SUCCEED because that means I do as well! Let's live the dream together! Understand and embody the psychology of each prospective client before you even meet them. Stop using features and benefits and understand how your potential clients make decisions. Learn how easy it is to actually run your own website without spending thousands of dollars on web design. Transform frustrations into solutions using time management and self organization. Learn how to write creative and effective marketing adds that actually get you a better ROI. Learn how to avoid client complaints and bad reviews. I have had 1 in 20+ years! Learn the best ways to recruit new potential clients without attending weekly networking events. Learn the secret sauce of sequence email campaigns. Learn how webinars and live video marketing can effectively increase business and brand awareness with little effort. Get results through communication, accountability and trust. "Denise has been mentoring me for 3 months. In this time I have seen a significant increase in my sales conversions. She opened my eyes to seeing how leads I once thought were not worth my effort, could be turned into a big sale. On the flip side, she taught me how to screen the real tirekickers so I’m not wasting my time. I had been having problems and even emotional weight I carried having to deal with the very wealthy clients who are used to being in control and having people grovel to them. Denise taught me that with clients like these, you have to set up the relationship properly in the beginning and be willing to walk away when they test you. She taught me how to be strong and make these clients prove themselves to me rather than the other way around. I now feel confident and in control with people like this and no longer lose sleep over it. Denise offers tremendous value in just one hour. She can completely change the way you do business and intake clients, which is a good thing because if you are reading this, you are likely not as effective as you want to be. I highly recommend her to new and long established matchmakers alike." "Denise is an amazing resource for any aspiring or established matchmaker or coach. She is so experienced in the industry, but is never stuck on old ways of doing things. She's totally up on all the industry and technology trends. She is the queen of marketing her webinars on social media--and quite the excellent host! She helped me make some changes on my website. I was impressed with her knowledge, prompt response, and business savvy. I would wholeheartedly recommend her to any professional who could use her expertise to improve their business." "Working with Denise has been a delight. Not only is she results-driven, she is a wealth of knowledge on business models and processes. She has a unique blend of business acumen, technical savvy all delivered in a simplified and supportive manner. I had been wanting to create a strong brand expansion for over a year bought countless products, read several books, and spent endless hours on market research. Then I met Denise. In just the last few months, she has walked me through several areas of my brand expansion effortlessly. She researches best practices and offers guidance on tools and processes that she knows to be cutting edge and effective. If you are looking for comprehensive solutions on marketing, sales, web design, content strategies, brand expansion; look no further than Denise Levy!" In a very short time, Denise Levy has not only been my business coach and mentor, but has also become a good friend. I love and respect her so much! She knows everything about everything in the matchmaking business - from sales, onboarding new clients, how to deal with difficult clients, relationship coaching, how to deal with a client who wants his money back, how to make an appropriate, "ethical" match, how to have a hard conversation with a client if his potential match doesn't want a second date with him, how to do video marketing, Facebook Ads, build a better website, the list goes on and on... all I can say is, hire Denise if you want to learn the ins and outs of the matchmaking biz from someone who has LIVED and LEARNED it all by trial and error. She made the mistakes so you don't have to! She will teach you the best practices and technology trends for the relationship, dating or coaching industry of the 21st century. When I started working with Denise, my mindset and confidence were very low. It was hard for me to feel good about charging clients premium prices for matchmaking. We worked together, role playing and working on my mindset - and the next thing I knew - I was in a room with "The Millionaire Matchmaker" herself - Patti Stanger! I didn't ultimately end up working with Patti, but Denise calmed me down before the meeting and helped me role play all scenarios beforehand so that when I finally got in front of Patti herself, I felt confident, knew exactly what to say, and didn't care about the outcome. I knew I would make an offer and either say, "take it or leave it" and feel good about doing so. Denise taught me and continues to teach me every day about how to value my time and myself. She empowers me to face any challenge that this chaotic, yet rewarding, industry tends to throw my way on a daily basis. I will never feel uneasy with Denise by my side. She is calming, nurturing, and a smart, savvy business woman! Think of Denise as the "Mama Bear" of matchmaking. :) She inspires me to keep pushing forward and keep "making love" for a living every day! "Denise was very helpful by answering all of my questions. She is very tech savvy and informative on a wide variety of platforms. She guides you in the right direction to boost your email list to increase client sales and engagement. She has researched lots of marketing tools that work and don't work. Her personality makes you feel at ease in learning new approaches to building your company. I would recommend Denise to anyone who wants to grow their company." "It was Denise's authentic and honest demeanor which lead me to reaching out to her for guidance. She was a tremendous help in seeing what I needed to implement into my business. Denise also helped me to see what things were not working and assisted me in getting through some of the tech stuff which can always be quite a hurdle. I would recommend Denise to anyone looking for help in the Love Dept as well as in business. She has a strong desire to help people with authenticity. Thank you Denise!" Consultations are done via SSL secure live video chat which allows for face to face communication and screen sharing. In order to carry out the session you need to use a compatible web browser. Please be sure to use Google Chrome or Firefox. Recording is optional and you will have access to recordings to refer back to at any point in time. How to use Youtube Live Streaming to broadcast on your website. The tech side of how I produce my Live Web Series All Things Dating & Relationships! ​Examples to place live stream on WordPress and Weebly. 2017 idate Presentation on Video Marketing to Generate Leads. Topic includes: Click funnels, CTA's, Email Automation, Live Video, SEO and more! Weebly is amazing for web design and easy peasy user friendly! I highly recommend weebly, just look at my websites: I created them ALL without having to pay a web/tech guy! Never wait around for another website change! I created this page with Weebly for FREE in just one hour! Please click the photo or red link for more information, pricing and to purchase. Yondo is my newest favorite tool! From managing my calendar to online scheduling, live 1 to 1 consultations, webinars, video rentals or subscriptions and payment processing! Everything you could possibly need to run the online part of your business all in one! Please click the photo or red link for more information, pricing and to purchase. 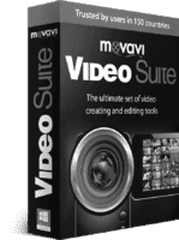 With Live Video about to explode in 2017 I strongly recommend Movavi Video Suite for repurposing your Live Video! Don't just go live! Download your live videos, edit and repurpose them for youtube or even your email newsletter! Please click the photo or red link for more information, pricing and to purchase. Use Coupon Code: ​A029448ECD to receive 5% Discount! One more...I can't resist. Don't Stress: Delegate! Business logos, content marketing, viral social media posting, animated video production you name it! And for pennies...you will be surprised how inexpensive these things cost!